Conveniently situated between historic Arrowtown (4km) and the buzz of Queenstown , this property provides the perfect couples retreat. 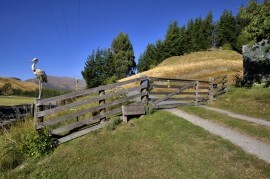 Why not walk sections of the inspiring Wakatipu Trail which is located on the boundary of the property or cycle it to Gibbston Vineyards via Arrowtown or south towards Queenstown. 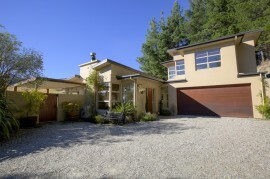 The property is within easy walking distance of Millbrook Resort, and the Hills Golf Course. Stroll to Akarua Winery tasting room or to Amisfield Winery for lunch or it’s only an hour walk to Arrowtown through the heart of the Millbrook Resort via the hole in 1 bar. Maybe just relax on the patio or in the spa pool with a glass of wine and take in the views. In the evening why not visit Arrowtown’s top class restaurants, the Blue Door bar, Dorothy Browns boutique cinema or take a ride into Queenstown to sample their many internationally renowned restaurants, shops and attractions.